The title of this piece is provocative and a little tongue in cheek. Were I in Egypt as I publish it, I’m not sure, though, that the authorities would get the joke. The 2011 revolution, which was in part about dignity and personal autonomy and censorship and police torture, apparently went too far for Egypt’s ruling classes (the army, big business, big government). I’m referring to the Tuesday and Wednesday referendum on the constitution crafted by a body appointed by a government that was appointed by the officer corps. The resulting constitution is not actually as bad as many of its detractors paint it, and has some good points that if they are implemented could allow positive change. But the referendum process itself is highly objectionable. The Carter Center is sending observers only of the larger political context but not doing actual election observation. The Carter Center did not observe the December 2012 referendum on the Muslim Brotherhood constitution at all. Neither referendum was held in such a way as to meet international certification for an impartial electoral process. Some election observers were allegedly mistreated at polls on Tuesday. 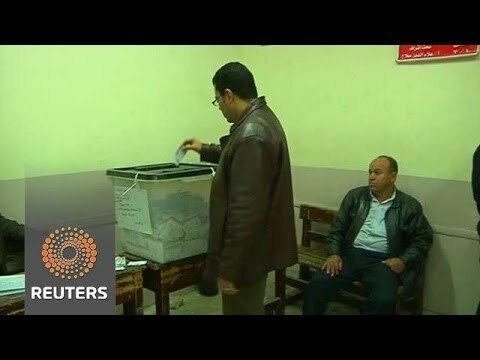 But on Monday the government arrested members of the Strong Egypt party for hanging banners urging a no vote. That’s not acceptable. Likewise it arrested three Aljazeer journalists on the grounds that Aljazeera is based in Qatar and Qatar has been supportive of the now-banned Muslim Brotherhood. The Egyptian airwaves have been full of propaganda insisting that a yes vote on the constitution is a patriotic duty. Gen. Abdel Fattah al-Sisi comes on tv, sometimes sitting down among troops, saying folksy nationalist things. The 2012 constitution was a bad constitution produced by a bad process. The constituent assembly was chosen by the Muslim Brotherhood-dominated parliament elected in 2011, which was subsequently struck down for electoral fraud. At that point the committee should have been reformulated, but it wasn’t. The fundamentalist majority rammed through a text that President Morsi then quickly put to a referendum. The judges refused to oversee it, which they usually, and there could have been fraud. The turnout was only 33% and it won by 65% or so. But that means only about 20% of the eligible voters voted for it. Not much of a mandate there. Egypt has reached this scary place by design, the design of its elites. After the last big populist moment of protest, in June of 2013, the military made a coup and overthrew the Muslim Brotherhood government of Muhammad Morsi. Admittedly, the last three years have been seen economic troubles for a lot of ordinary Egyptians, and the revolution was also about bread and social justice. Having not delivered the bread, it appears to have disappointed the populace so much that they are willing to put up with the return of a propaganda state. Last fall, the military-appointed interim government abruptly announced a law forbidding public protest unless permission was gained from the Interior Ministry three days before. Prominent Egyptian heroes like Alaa Abdel Fattah and Ahmad Maher were arrested for protesting the protest law. Abdel Fattah was given a three year suspended sentence, which of course functions as a standing threat to toss him back in a cell if he doesn’t kowtow. He was beaten bloody when arrested and mistreated in jail. Maher and others were given an actual three year sentence of hard labor. Egyptian prisons are bad enough as a punishment all by themselves, even without the hard labor part. These are not nobodies. They were heroes in 2011, lionized by the public and consulted by the interim government. It is said that a revolution devours its own children. But in this revolution, the overthrown fathers came back and ate the children that made the revolution. Then there has been the massive crackdown on the Muslim Brotherhood, with some 21,000 imprisoned since July 3. About 2000 of those are leaders. In addition, over 1,000 of them were killed in the clearing of their sit-ins; in some instances they did appear to deploy violence, but most of those deaths were unjustified. In December the interim government declared the Brotherhood a terrorist organization and instituted harsh penalties even for orally defending it. These sad statistics and these sad facts are the reason for bringing up North Korea. It is a vast exaggeration. But certainly human rights are being drastically curtailed in today’s Egypt. The constitution itself forbids torture and allows citizens to sue the police. If the provision is actually implementing, it seems to me Egyptians would have more rights in these regards than Americans. It gets rid of the clause that makes the al-Azhar Seminary the arbiter of Islamic law incorporated into state practices, which had been a step toward an Iran-style theocracy. It guarantees freedom of belief (the Coptic church is backing it). It is good on the rights of children. While it gives the army 8 years in which the civilian government can’t interfere much with it, that provision was in the Morsi constitution, too. But constitutions are only as good as their implementation. Some Egyptians have argued that the interim government has overstepped its authority with its anti-protest law and ban on the Muslim Brotherhood, and that the anti-protest law, at least, is unconstitutional by the text of the new constitution.